Just want to make sure you don't miss out on any awesome opportunities. TODAY IS THE LAST DAY. It is the last day to order retiring products. It is the last day to order bundles in the 2016-2017 catalog. Even though some of the products will be available in the 2017-2018 Annual Catalog, the bundle pricing will not. It is the last day to order the special pricing on the Eastern Palace Bundles. These include a FREE gift in each of the bundles and are what I will be using for online videos in June. Please make sure you join me tomorrow for the Launch Party Facebook Event. I am chan....the time to noon. The catalog will not be going LIVE until noon MDT. So, if we start at noon CDT, I can share some samples of my cards made with products from the new catalog until we can all look at the 2017-2018 catalog together when it goes LIVE. 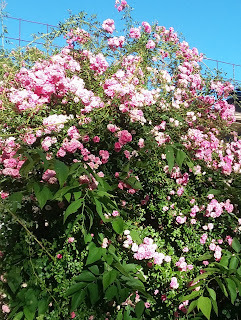 I have some exciting things to share with you so I hope you will join me. Card class had to be postponed this month since we were in a tornado warning the night it was originally scheduled. Of course, when it's May in Kansas you get used to moving your schedule around to accommodate weather. Then, I had the rescheduled card class with the same projects last weekend. We had a great time. I love to hear giggling while creating is happening. Here are the pics of the sample cards they worked from. I like to give options when I hold a class. So, while they did the same basic projects, they had some choice to help make their own design. 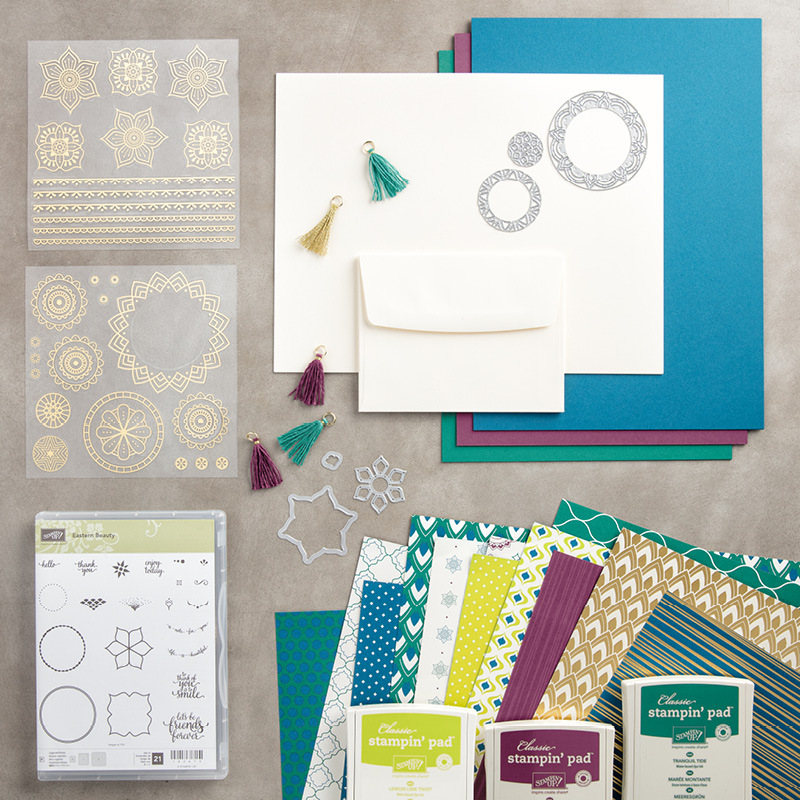 For Card #1, we played with the new Happy Birthday thinlits, the Color Theory DSP, Glitter Enamel Dots, and new embellishments in the 2016-2018 In Colors: all products that will be available in the new 2017-2018 Annual Catalog. Card 2 made thank you cards using the World of Thanks stamp set which is retiring and Sweet Sugarplum paper. The choice happened when they decided whether or not to add Very Vanilla to their card fronts and chose butterfly embellishments as well as ribbon or baker's twine to add to their cards. Finally, we made a box card toolbox together. I always try to feature a card or 3D project that teaches a new technique. Since I had the monthly class in two parts, I was able to get two different votes for favorite card. The first night, my family chose Card 1 with the Happy Birthday Thinlits. The ladies who attended the rescheduled card class voted for Card 3--the toolbox card. Which one do you prefer? Please comment with your choice. 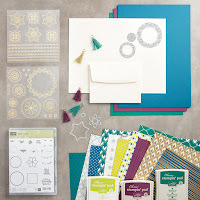 Many of the products used to create Cards 2 and 3 are retiring and if they are not already sold out are only available through tomorrow--May 31. To shop for them, click on the Shop Now button below. To join my team, click on the Join Now button. To hear all about the new 2017-2018 Annual Catalog as well as hear an announcement about my team name, make sure you come to my catalog launch facebook event June 1-10. Comment below if you would like an invite. 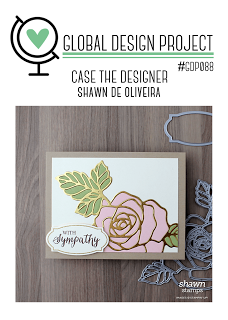 This week on Global Design Project 088 we are CASEing a designer, Shawn de Olivera. When you CASE someone, you can choose whatever element of the card inspired you. I was inspired by the stamp set and the colors. I also had a little extra inspiration for this card. 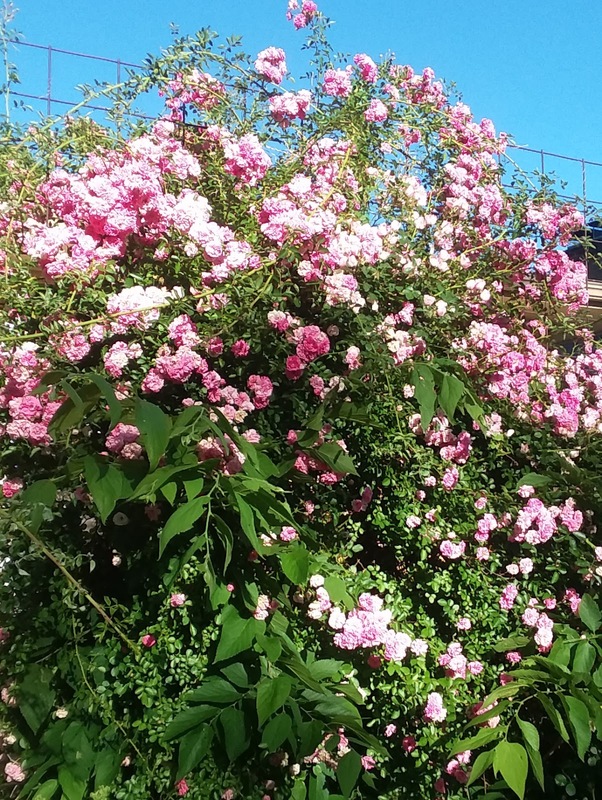 When I got home this afternoon, I couldn't help but be inspired by these gorgeous flowers and knew this would be the perfect inspiration for today's card. I didn't use exactly the same colors in the inspiration card because I choose to use two of the 2017-2019 In Colors, Berry Burst and Powder Pink. 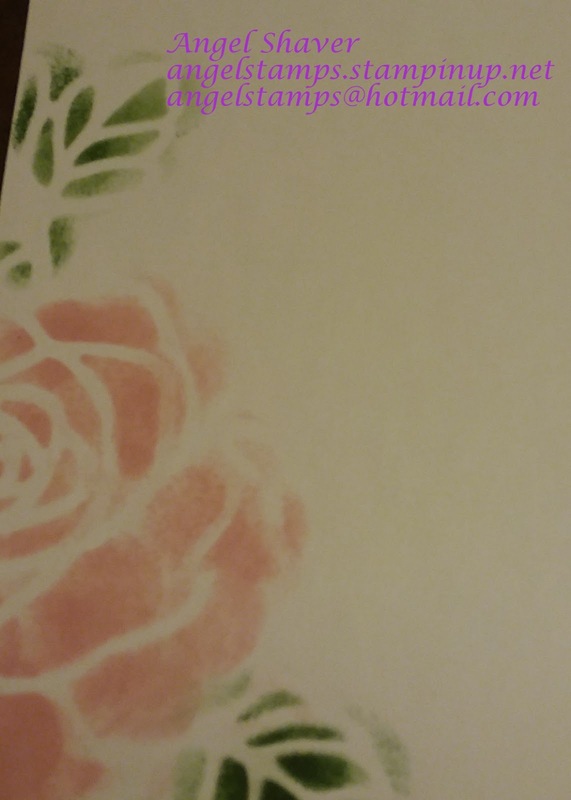 I sponged the background with the colors for the flowers, greenery, and sky and then layered leaves and flowers cut out with the Rose Wonder thinlits set. I wanted to add a touch of gold, so I gold embossed the sentiment to add that touch of bling. Be sure you visit Global Design Project 088 to see the other amazing cards created by the design team and other #GDP088 entries. If you are interested in paper or in color shares from the 2017-2018 Annual Catalog, read more about them here: 2017-2018 Annual Catalog shares and email angelstamps@hotmail.com to reserve your share. I did not manage to get a picture of the Balloon Adventures card I made during class, but here is a pic of the sample I showed during the video. 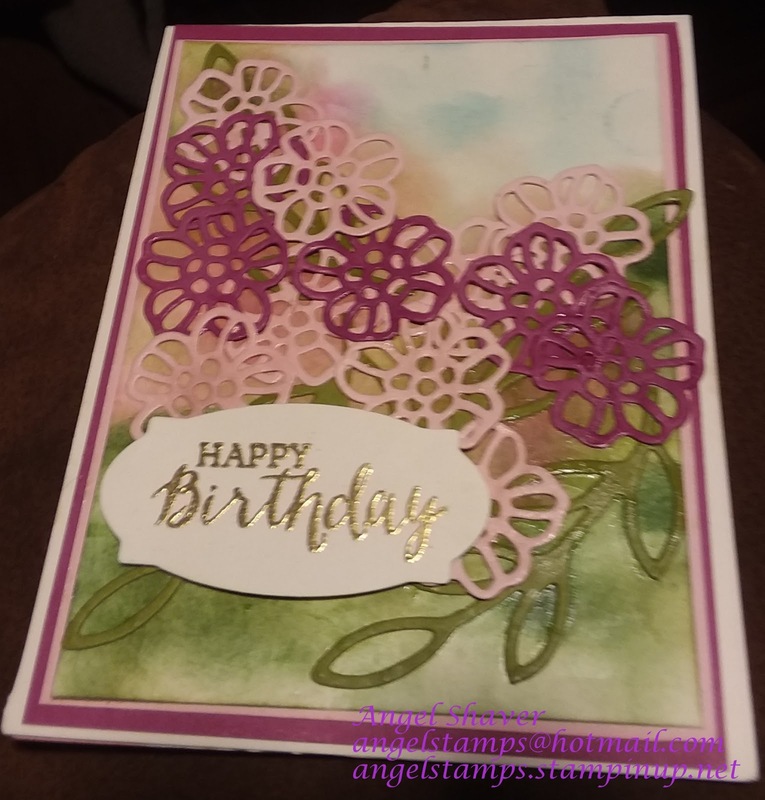 You'll have to watch the video to see the card I made today. This was also a week with a bonus card from the Nailed It bundle. I originally saw the idea to make a tool belt card on Pinterest, but I'm not sure who the original artist was. Here is my interpretation. The note card in the pocket on the middle section of the tool belt is a place for you to write your note and it's private since it is kept in the pocket and not visible to others who might want to admire the card. I did end up using the Watercolor Pencils and Blender Pen to create the emphasis on the seam towards the top of the belt. By scoring a piece of 5 1/2" x 12" paper at 4" and 8", that made it possible to fold the card in thirds and fit in into a standard medium size card envelope. Check out the video to watch the cards being made this afternoon. 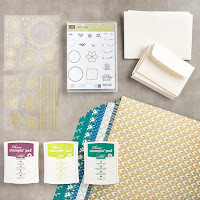 If you are interested in Paper or In Color shares from the 2017-2018 Annual Catalog, read all about them here Also click the buttons below if you are interested in shopping for products or joining my team. Freshly Made Sketch 287--Nailed It!